Doodle God: Evolution is a unique edition of the well-known game that includes not only the classic Doodle God, but Doodle Farm as well. And now, in this addicting all ages game, not only fire, earth, water and air but also plankton, mammals or birds will be at your disposal. Mix and match different combinations of elements to build an entire civilization and re-create the evolution of the animal world! Of course, the universe was not created in a day, a long journey full of joy and creative torments awaits you. Don’t worry, you will not be alone in this adventure! Every time you successfully create a new item you’ll be rewarded with an interesting scientific fact or wit and wisdom of some of the greatest philosophers and comedians of all time. But beware, the power of creation may have unintended consequences, inventing the wheel might just trigger a zombie plague! 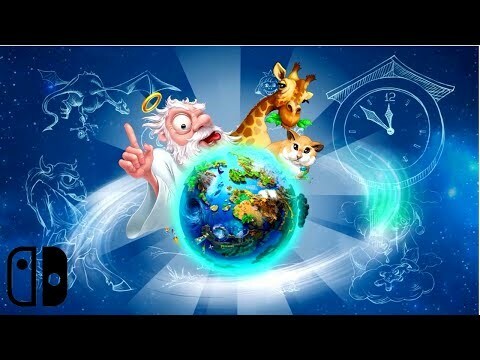 Unleash your inner god with Doodle God: Evolution! Doodle God: Evolution was released on Switch 85d ago in the US and the UK. Notify me when Doodle God: Evolution is available.